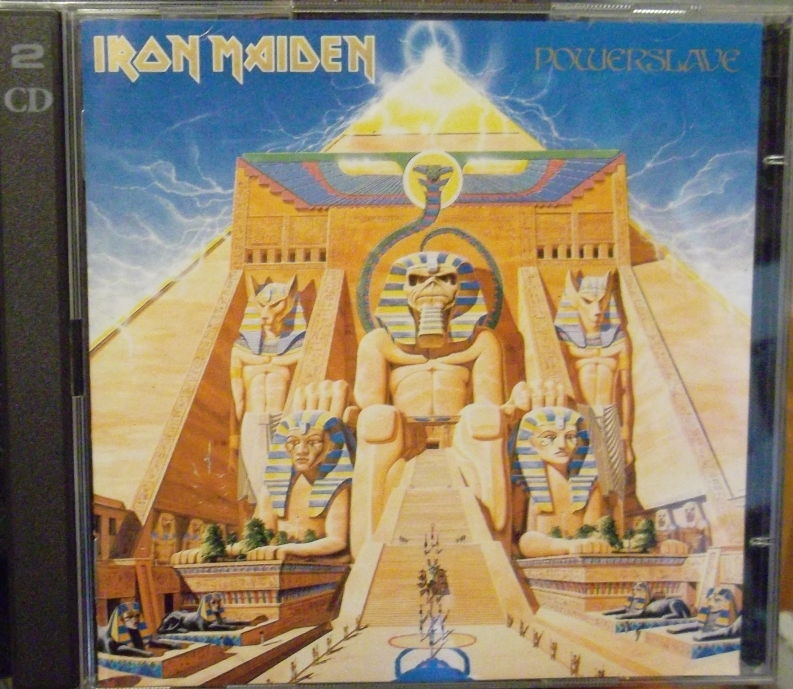 Powerslave will always rank high in the upper Maiden echelon as far as I’m concerned. The songs are all crafted well,I just about died when I had seen the credits that there was a 13 minute track, I mean who the hell does that? Maiden does….. The cover/artwork/inside sleeve /lyrics man it’s all there…. I prefer the production on Piece a little bit better……. Really absolutely no filler on this one……. First time I seen Maiden was on this tour with Twisted Sister supporting back in dec 84 in Winnipeg. Me and a few friends took the train from Tbay to the Peg….fantastic show,one of the best I have ever seen even to this day….show was sold out at about 12,500 or so…..some may say there peak just by the Live after Death video and u could see the reason why….. Thanks again Deke for your input! That tour would have been something amazing to see. Wish I was old enough at the time. Really enjoyed this review! Makes me want to dig out those B-Sides cause I’ve forgotten how a few of them go. I prefer this to Piece of Mind but, only just, and I agree it’s splitting heirs. The preference can often just come down to your life experience. Me and my school friends used to listen to this all the time when we were playing RPGs! It just seemed to fit the mood! So it’s imprinted on my DNA now. Like the tern rinky… I think Steve’s bass is often a bit like that. It’s very percussive isn’t it? You sometimes hear the slap more than the actual notes! But Martin Popoff is, in my opinion, the best writer ever to tackle the genre of metal so I need to give a shout out to my biggest influence. I mean, this guy has something like FOUR books about Deep Purple alone. Who else can say that? Haha – caught! If your going to steal from a Metal writer Martin Popoff is the MAN! Absolutely love his writing and his opinions. Even when I disagree! I used to read his first “Collectors Guide to HM” (I think that’s what it was called anyway) all the time when I worked in the bookshop and really loved it. Wish I’d actually bought a copy cause it’s pretty pricey now. I don’t know what his shipping rates to the UK are like (canoes are expensive) but I subscribe to his mailing list, and he’s constantly mailing out deals. Like, “I have 40 copies left of the [whatever] book and then they’re gone. $15.” And then he signs every book took, he’ll chat via email…he’s just a really cool guy from what I can tell. I might have a look at that. I think he does eBooks now as well so I’d maybe think about that if they’re cheap! I used to listen to the Shockwaves Skull Sessions podcasts a lot. He contributed to some fun debates on those, going to through the relative merits of bands entire catalogues. Him and Monte Conner made a great double act! But HMO back to the album and the bass, when I was a kid with crappy tapes and a crappy system, I COULDN’T hear the bass! All I could hear was the slapping, and you’re right, it’s percussion. I think Nicko once said that Steve plays slightly ahead of the beat, so it’s him leading the charge. It’s funny because I never appreciated Steve as a bass player until I had a player where I could hear the NOTES! I used to notice it a lot on the Maiden England VHS. You could only hear the slap all the time. I really like it. Love that Nicko description of him you mention too. Spot on. I am kicking myself for this…I gave away all my rock magazines 4 years ago. Everything. That Nicko quote from from an issue of RIP Magazine, right around the time of Fear of the Dark probably. A whole full-on interview with Nicko and he was such an interesting guy since you don’t hear from his as much. And I gave it away, along with my entire collection of Hit Parader. All I kept were my M.E.A.T. magazines (a Canadian metal mag) because they’re so rare. Yeah, Nicko’s perspective is always interesting to hear. Adrian’s too! A lot of the time Nicko just plays the joker but he obviously has more going on than that. Glad you clarified that M.E.A.T. was a Metal mag. With a name like that it would have been open to misinterpretation!